Download and unzip the installation package, open the install.exe file in the installation directory, and click the Install button to install. 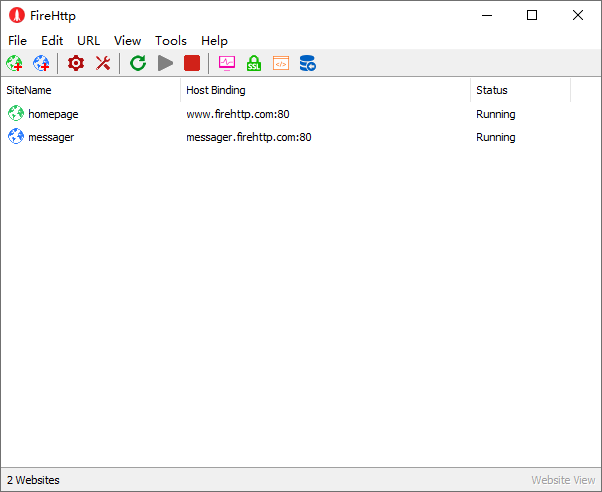 The main interface of FireHttp Manager has two views, one is "Service View" and the other is "Website View". 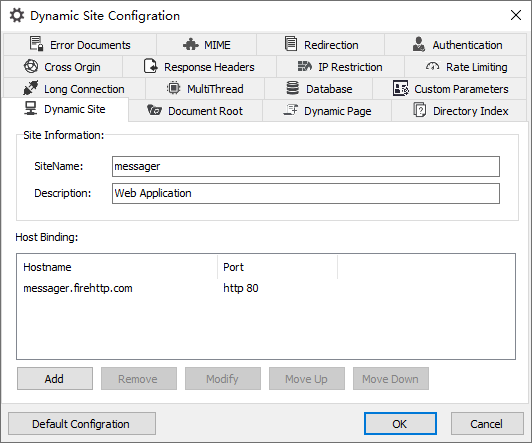 Click on the first button on the toolbar to open "HTTP Configuration". As shown in the figure below, HTTP Configuration contains a variety of common Web server configuration options. 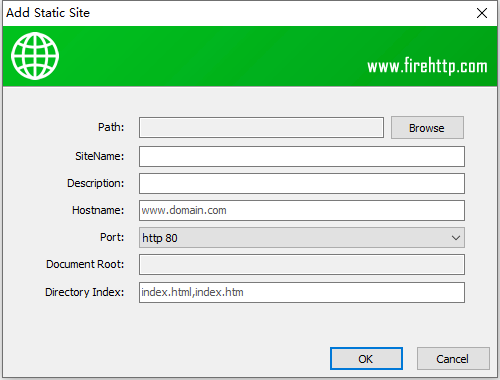 Click the third button on the toolbar to open the dialog of "Add Static Site", then fill in the parameters according to the prompt, and click the "OK" button to create a static website successfully. Click the fourth button on the toolbar to open the dialog of "Add Dynamic Site", fill in the parameters according to the prompt, and then click the "OK" button to create a dynamic website successfully. Each website has its own configuration, users can set the corresponding website parameters according to the actual situation. Support Virtual SSL Certificate Tool, you can create and validate your own SSL certificates by yourself. 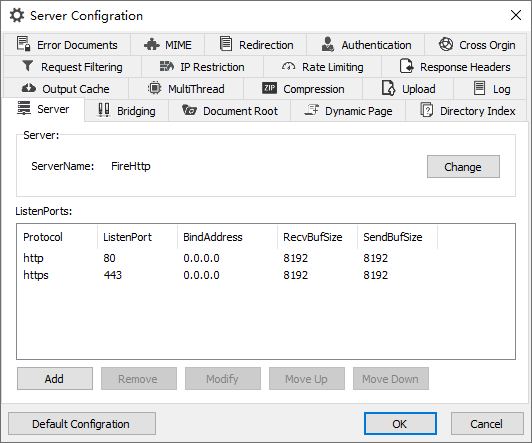 Support Virtual Resource Monitor Tool, you can see more information about firehttp running.